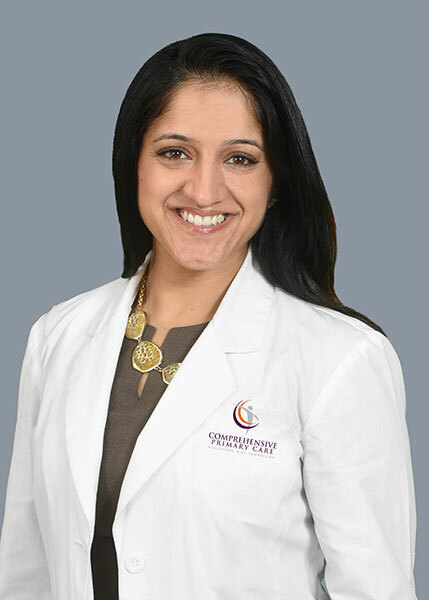 Dr. Megha Mendiratta is a board certified Family Medicine physician who is a Maryland/D.C. native. She completed her training at Virtua Family Medicine Residency in Southern New Jersey, and started practicing with Comprehensive Primary Care in 2013. She practices evidence based medicine has focuses in preventative care, acute care, women’s health, as well as, chronic care management. She has a very unique bond with all of her patients which allows her to positively connect with them and their individual concerns. She loves Washington D.C and is proud to serve her hometown and community. She is currently practicing at the U Street location full-time and is accepting new patients.